Beautiful 2 bedroom plus den/bedroom (closet has no door) with 2 car garage. 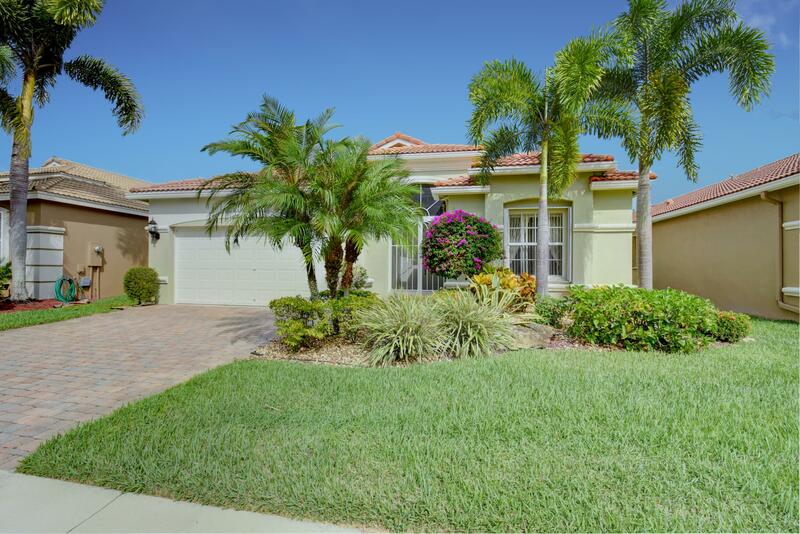 This home has a fabulous lake view with large, covered & screened patio. Accordion Shutters, granite in kitchen, tile in living areas, laminate flooring in master, screened front porch, tons of natural light throughout home. Villaggio is a fabulous 55+ community built by Ansca Homes. Villaggio offers social and athletic amenities plus resort style pool, indoor pool, recently and beautifully updated clubhouse, shows, onsite cafe, and much more. HOA fee includes cable, monthly alarm monitoring, grass cutting, 24 hour manned gate community. 2 pets allowed (no weight limit, no aggressive breeds) no pickup trucks. Dont miss your chance to view this well cared for home. Furniture negotiable.